Herbs and other cold sore remedies can be very safe and effective. Not only can they help relieve pain and bring quick healing, they can actually prevent blisters from ever appearing. In my opinion, never getting one in the first place is the best way to go. Cold sores are a painful blistering condition that is caused by the herpes simplex 1 virus (hsv1). Genital herpes, shingles, and the Epstein Barr virus involve a closely related virus. This article focuses mainly on herpes simplex 1. Once contracted, the herpes simplex virus lives in nerve cells. 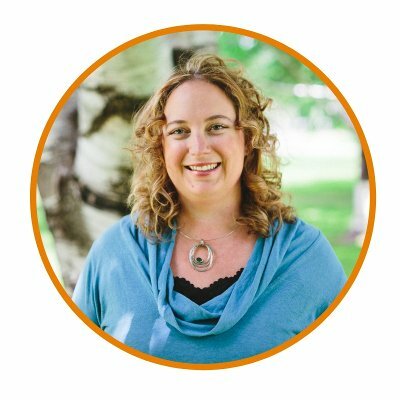 It can be dormant for long periods of time and then become reactivated through a variety of causes including stress, depression, anxiety, an overabundance of sun exposure, reliance on stimulating nervines such as coffee or tea, fevers, menstruation, possibly food allergies/intolerance, and more. Once activated, painful blisters erupt most commonly as a lip sore, but can also affect the skin and other mucosal membranes. Most often an itch or tingle will be the first sensation of the cold sore symptoms. A red bump will shortly appear. This bump will grow and form a blister. These ulcerations can be itchy, painful and swell uncomfortably. These sores go by many names, including mouth ulcers, mouth sores, fever blisters, a lip sore and mouth herpes. The first steps of prevention can be avoiding known causes of cold sores. Sun exposure is one of the most common triggers for fever blisters. If you notice that sun exposure results in an outbreak, take care to wear lip balm with sunscreen in it and/or a sun hat if you are unavoidably going to be in the sun for long periods of time. Stress is also a common cause of cold sores. Minimizing stress through self-nourishment such as taking time to do the things you enjoy, meditation, yoga, spending time in nature, getting restful sleep, or whatever you need to do to maintain a stress-resistant life can all go a long way in preventing a cold sore outbreak. Read more about preventing nervous system diseases here. Is a Cold Sore Contagious? The herpes simplex virus is most contagious during an outbreak, but cold sore transmission can occur through viral shedding even when the virus is dormant. Once you have an active fever blister it is very contagious and pro-active steps should be taken to avoid cold sore transmission. Colds sores can be spread to others and you can spread it further on your own body. To reduce chances of cold sore transmission it’s important to avoid contact with the mouth ulcers through direct contact, such as kissing, or indirect contact such as touching the lip sores to a towel and then re-using that towel. When you have a current outbreak wash your hands frequently and especially after touching the cold sores themselves. It is estimated that 75% of the population has the herpes simplex virus, although many of these people are asymptomatic or otherwise do not know they are carriers of the virus. Determining which of the four cold sore stages you are in will help you find the best cold sore remedies. The best cold sore remedies are to never get them in the first place! If you get cold sores I am sure you will agree! Herbal remedies for cold sore prevention can include various categories of herbs. Adaptogen herbs can help strengthen our body’s response to stress and, combined with the lifestyle suggestions listed above in the Causes of Cold Sores section, can be a powerful way to bring more balanced health to our lives. A stronger nervous system and overall health is the best way to prevent cold sores. Stimulating nervines such as coffee and tea may trigger cold sore outbreaks. If you suspect this may be causing your outbreaks, adaptogen herbs, along with slowly reducing the frequency of stimulating nervines, may help to reduce the dependency on these “pick-me-ups” and reduce the number of outbreaks. 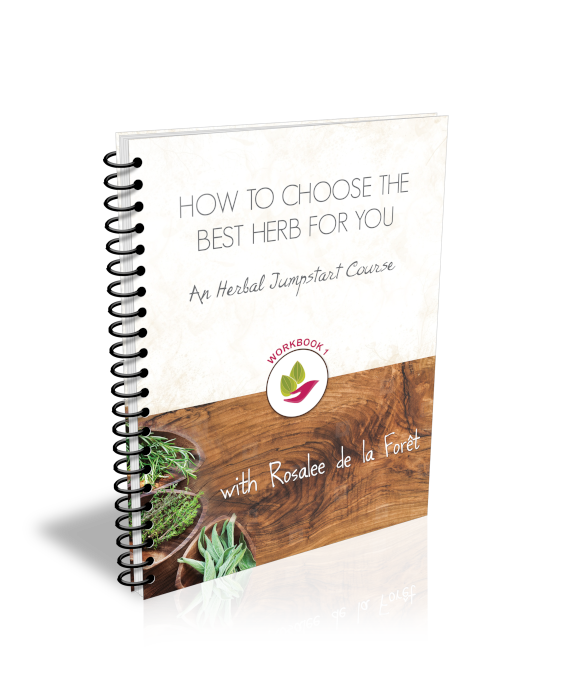 Immunomodulating herbs support your immune system, making your body less vulnerable to the virus herpes simplex 1. Taken preventively, as well as during an outbreak, anti-viral herbs can help to minimize the virus from replicating and stop it from attaching to cells. Eating lysine-rich foods and avoiding foods high in arginine can be another way to prevent cold sores. The amino acid arginine has been implicated in herpes outbreaks. The virus actually needs arginine to replicate and may even stimulate the virus. Lysine blocks arginine and can help prevent outbreaks. Many people take lysine supplements to prevent cold sore outbreaks or to lessen their duration. If you take lysine supplements for prevention you can simply follow the directions on the bottle. When I take lysine supplements to stop an outbreak or to shorten the duration of an outbreak I take as much as 4 - 6 grams per hour. Taking lysine supplements in such a high dosage can often stop an outbreak from occurring to me. Certain nutrients support our immune system and are a beneficial part of the diet. If you are unable to get these naturally in your diet, supplements of high quality may be considered. Vitamin C strongly supports the immune system. It can be found abundantly in rose hips, pine needle leaves and dandelion leaves. A good amount of vitamin C is found in most leafy green vegetables. Magnesium helps the body have a better response to stress, which is a common trigger of fever blisters. Leafy green vegetables can be a good source of magnesium, but because magnesium is often not in our soils many people will need to use a supplement. Vitamin D can support the immune system, leaving your body less vulnerable to a hsv1 outbreak. There are many more vitamins for cold sores, but these are the three most important vitamins for cold sores in my opinion. If preventive steps fail and you feel the onset of an outbreak, there are several things you can do to help either stop the outbreak or lessen the symptoms. That’s right, you can stop an outbreak from occurring! The best results are when actions are taken at the very first sign of a cold sore outbreak. If you get cold sores frequently then you know what I mean. That itchy or burning sensation that can only mean one thing - a cold sore is coming! Take regular teas and tinctures of anti-viral and immunomodulating herbs. Large doses of lysine supplements at the first sign of a cold sore have been helpful for me in stopping an impending outbreak. I may take as much as 4,000 mg every half hour until the outbreak has abated. This can make me nauseous on an empty stomach so I try to eat a little something with it. 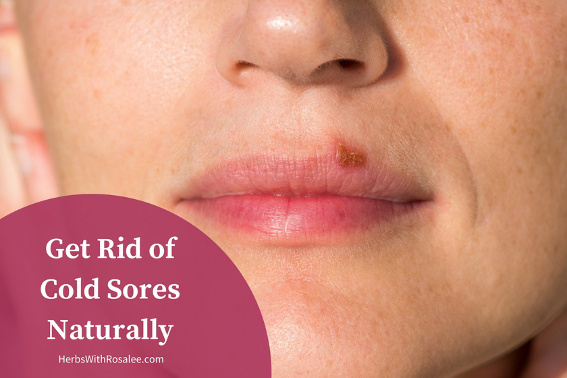 Topical treatments using home remedies for cold sores can be a quick cold sore remedy. St. John’s Wort oil or tincture can be applied topically, liberally and frequently at the first sign of a cold sore. There are times when I’ve stopped an outbreak solely with St. John’s Wort topically. Be warned that St. John's Wort causes photosensitivity in some people. Lemon balm (Melissa officinalis) can be used in a similar way. Honestly, I am not a big fan of essential oils, but many people I know successfully stop cold sore outbreaks by applying essential oils to the sores themselves. These can be a quick cold sore remedy. They may need to be diluted in a carrier oil to avoid irritation. Essential oils for cold sores include tea tree oil, lavender, lemon balm (Melissa officinalis), and thuja. Please keep in mind that essential oils are not for internal use and can cause irritation when applied externally. Through all this remember to rest. Your body is fighting a viral infection and can use rest and support of immune system functions. 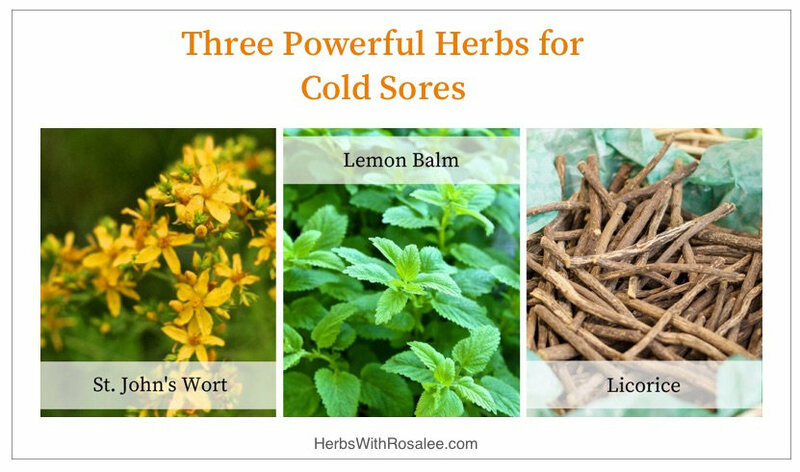 If the above suggestions still result in lip sores there are multiple herbs and home remedies for cold sores that can lessen the pain and speed healing. Anti-viral herbs for cold sores continue to be helpful during an active outbreak. (Examples include St. John’s Wort (Hypericum perforatum) and Lemon balm (Melissa officinalis). Vulnerary herbs such as Calendula (Calendula officinalis) and Aloe Vera are helpful. If there is significant swelling, ice can be applied to the cold sores. You can also make tea and freeze the tea in ice cube trays for an added kick. I especially like to do this with licorice root, but many anti-viral and vulnerary herbs could be used such as lemon balm (Melissa officinalis), calendula, St. John’s Wort, etc. Ice can be a great quick cold sore remedy. Again, during an outbreak remember to rest. Your immune system can use the help. Cold sore duration can last anywhere from a couple of days to a full week. Once the acute stage of the lip sores is over, the sores will heal and new skin is formed. I’ve said it numerous times, but this is still important! Rest and recovery is essential during all cold sore stages. Remember, your body is fighting a viral infection! Relaxing nervine herbs and nervous system trophorestorative herbs can further help support the nervous system so that you can fully recover from a fever blister outbreak. As you recover also review the recommendations for prevention and adopt them into your life as you can. Cold sores and fever blisters are caused by the virus herpes simplex 1. The mouth ulcers that erupt during an outbreak are painful and ugly. There are many cold sore remedies for the different cold sore stages that are safe and effective! The best cold sore cures are addressing the root cause of why you are getting fever blister outbreaks so that you never have to have them again!